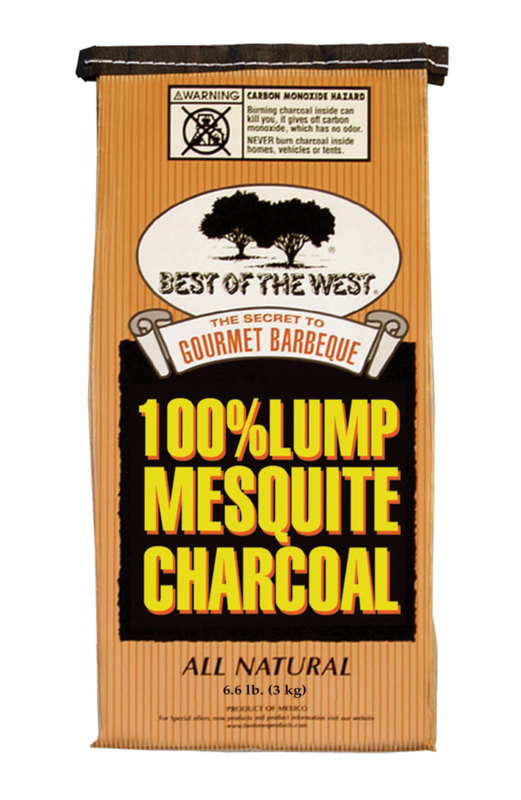 Our 100% Pure Mesquite Lump Charcoal contains absolutely no fillers or additives. Gives your food that great mesquite flavor. Used by famous chefs around the country. Best of the West® Charcoal Briquettes are a great fuel base to combine with our wood chips or wood chunks for a great cooking experience. World Famous Mesquite Flavor100% Natural Handmade Mesquite Lump Charcoal Burns hotter and longer than regular charcoal briquettes. Also available in display ready pallets.